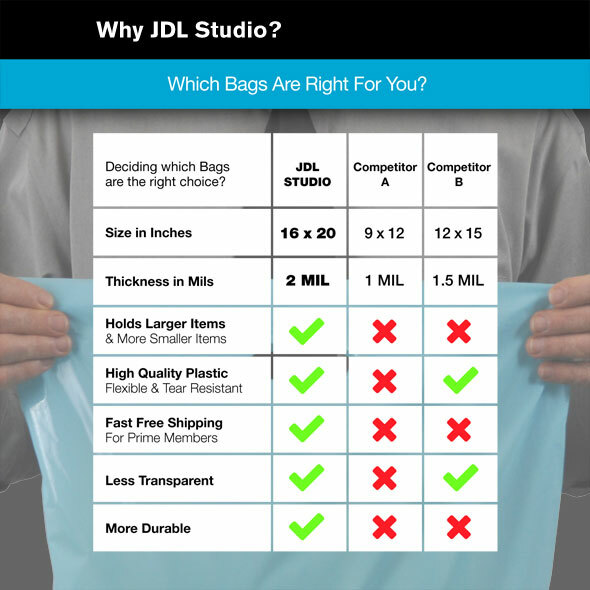 At JDL Studio we believe that large merchandise bags are one of the most useful products on the market, because they can be used for so many different purposes. We often take them for granted because they’re so ubiquitous in our everyday lives, but try to think of another product that can be used in more ways than a plastic shopping bag! So we believe in this product, and we hope you’ll enjoy using our specialty versions – currently sold out. 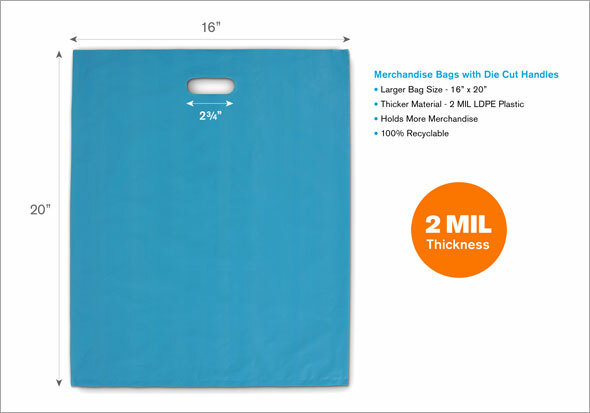 LARGER BAG SIZE – The larger 16″ x 20″ size makes these merchandise bags ideal for bigger items, and also for carrying larger quantities of smaller products. Similar to the size of a standard grocery bag, and much more useful than smaller plastic shopping bags. 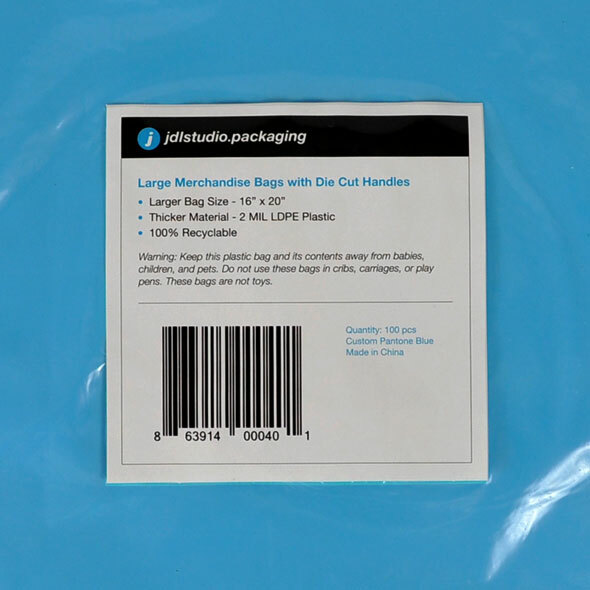 THICKER MATERIAL – JDL Studio shopping bags are made from high quality extra thick 2 Mil LDPE low density plastic, so they’re tough, durable, 100% recyclable, and reusable. Because of the extra durability, they can be reused for much longer periods of time before being recycled. STRONG DIE CUT HANDLES – Our die cut handles are compact and strong, measuring 2.75″ wide. So they fit nicely in the hand, but less material was removed in the manufacturing process so they’re more stretch and tear resistant. 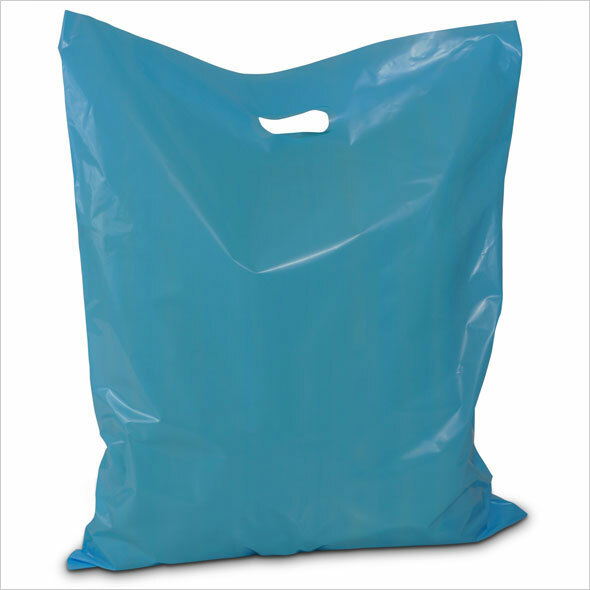 HOLDS MORE MERCHANDISE – Why limit your customers experience with small plastic shopping bags? 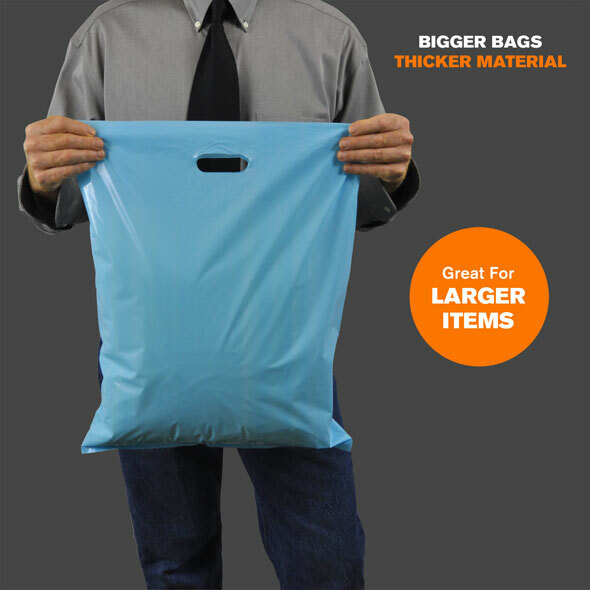 Large merchandise bags are much more versatile since you can always carry less merchandise in a larger bag, but you can’t carry more items (or larger items) in a smaller bag. Your satisfaction is our top priority, so JDL Studio die cut handle merchandise bags are backed by our unconditional money back guarantee policy! Perfect for retail stores, trade shows, gifts, garage sales, convention centers, books, clothes, and much more. If you have any questions or comments about this product, please feel free to Contact Us.